She may have stumbled upon her job, but Ms Ranjeet Kaur, 52, a customer service associate at the National University Hospital’s (NUH) call centre, has found her life’s calling. Some 15 years ago, Ms Kaur found herself without a job when the travel agency she was working in suddenly shut down. A friend, who was working at the NUH’s call centre, recommended that she apply for a position there because of her experience in customer service. She did and has never looked back since. “When I first started, I thought that working in a hospital was a regular job, but it wasn’t,” she says. The former NUH call centre was then situated near the Emergency Medicine department. This was where she witnessed the gift of life. “I saw many different patients coming in. Those who were in a lot of pain, those who eventually died and those who made good recoveries,” she says. “Although I am not a nurse or doctor, I am very touched to be working in a hospital — because I see life, death and second chances,” she adds. While her job deals mainly with handling phone calls to the hospital’s main enquiry line — the centre receives about 1,500 calls daily — her days are anything but dull. Part of her work involves ensuring that medical emergencies at the hospital receive the swiftest attention possible. For example, she explains, when a patient collapses and is being resuscitated by nearby medical personnel, the ward staff will activate a “code blue” alert by pressing a certain phone code. Call centre operators will then act on it by activating the “code blue” team — a rostered group of doctors and nurses — through the hospital’s internal messaging system. This team would then rush to the patient and continue resuscitative efforts. “We must work very fast and be accurate,” says Ms Kaur. She is also responsible for ensuring that doctors acknowledge critical laboratory results, like blood tests that reveal life-threatening diseases. This is a stringent process. When a patient’s lab tests show critical results, the doctor who ordered the test would automatically be alerted through the hospital’s short messaging system (SMS). If the doctor does not respond to the SMS within 10 minutes, the call centre is alerted. 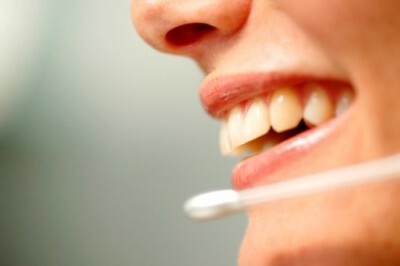 The operator, usually a senior associate, will have to make contact with the doctor and connect him or her directly to the lab. Ms Kaur’s role closes the contact loop and prevents unwanted incidents that can be fatal for patients involved. About 32 such alerts are received daily. “We are now, in a way, more involved in helping to save lives compared to before,” she says. Her role at the call centre is highly valued by the hospital. Though she’s been in this job for 15 years, Ms Kaur says she still enjoys helping callers. Once, she recalled, a patient’s father had called because his daughter had started stripping her clothes off. He wanted to speak to his daughter’s psychiatrist, but the doctor was off duty because it was a Sunday. Ms Kaur advised the father to send his daughter to the emergency ward first. She later connected him with the psychiatrist. Grateful for her help, both the doctor and the patient’s father later called to thank her. “My supervisor really cares for and understands each of us. She’s also very willing to help. That’s more than enough reason for me to come to work every day,” she says.